There are smartphones, and then there are smartphones. Phones that you pay attention to. Phones that are like whoa. The iPhone is one. Maybe the new Nexus. The Galaxy S3 was one. The S4 and the S5? Not so much. But the S6 looks poised to make a splash again. The S6 is looking serious. Samsung's slip from smartphone supremacy has been well-documented. Samsung's design and software are looking dated against the onslaught of increasingly better alternatives, like anything by Motorola. Last year's Galaxy S5 — with its faux chrome edges, Band Aid-textured backing, unforgivable bloat — just couldn't quite cut it sitting in carrier stores flanked by the aluminium-chiseled HTC One and now the iPhone 6. But in late 2014 the Note 4 showed that Samsung was willing to embrace change by adding aluminium to its lineup. That along side some true innovation with the awesome Gear VR and the fine-if-superfluous Note Edge. The Galaxy S6 will be a step in that same direction, and if some of the exciting rumours surrounding the smartphone hold true, this sixth-generation Galaxy could transform the once legendary lineup from tired to inspired. We haven't heard any rumours to suggest that Samsung would ditch the moniker its crafted for over half a decade. In fact, SamMobile reports that Samsung has already trademarked "Galaxy S6" and "S6 edge" (yes, we'll get to that), so that would seem to pretty much settle it. There are whisperings it might go by the hipper(?) "S6" without the Galaxy monicker. But either way, S6 almost certainly. Exact details? Unclear. 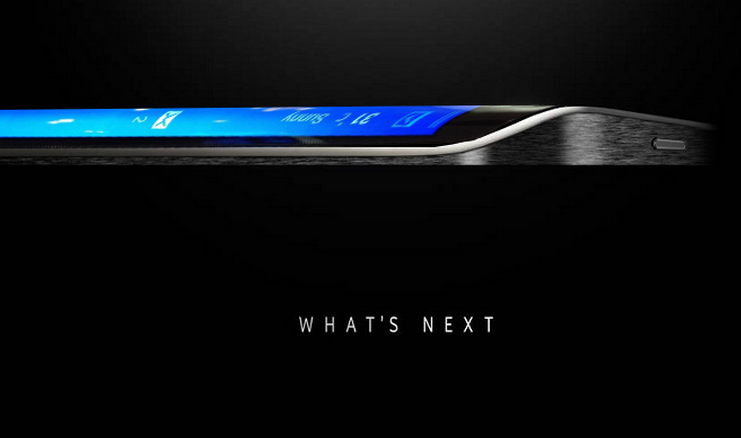 But broadly, the Galaxy S6 will probably look way different than any of its predecessors. 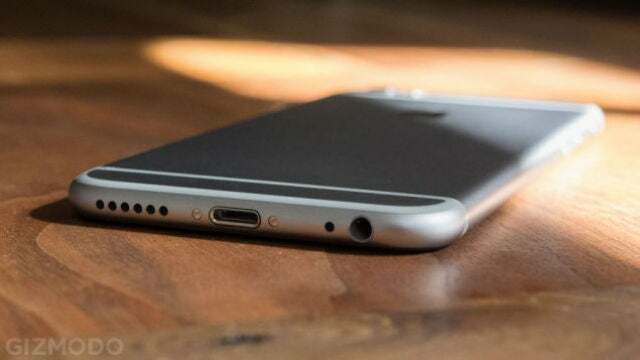 Current leaks and speculation suggest conflicting theories, from iPhone copycat to something more along the lines of the Galaxy Alpha. 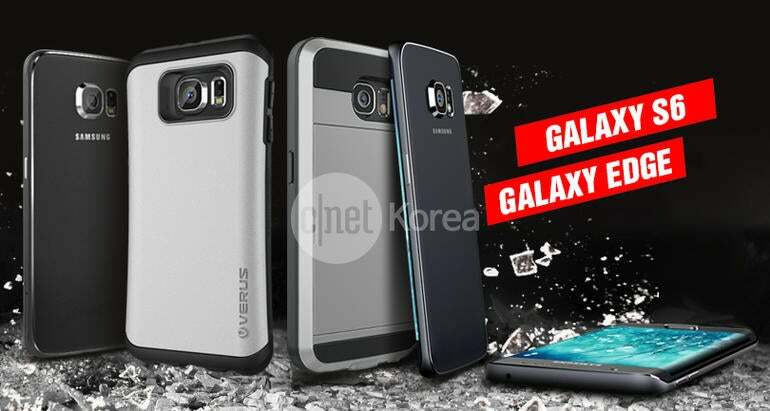 The one thread connecting all these leaks is that the S6 will almost definitely be metal. A first for the historically plastic (and lets face it kind of cheapo-feeling) line. It's possible that these are two iterations on the same chassis, but the second image should look suspiciously familiar. That's because it's basically the bottom of an iPhone 6. Here's a picture of the iPhone 6 just for comparison. It does look like Samsung could opt for straight edges along the side with a similar finish seen in the Galaxy Alpha, but the rest of the phone looks particularly Apple inspired. Apple-inspired or not, the move to metal makes perfect sense. Samsung's Galaxy Alpha — though not a proper flagship — sort of established that metal would be the future of the Galaxy line. Samsung iterated on the design (plus a pleather back) for the Note 4, so going back to plastics wouldn't be a big, dumb, and unexpected rehearsal. 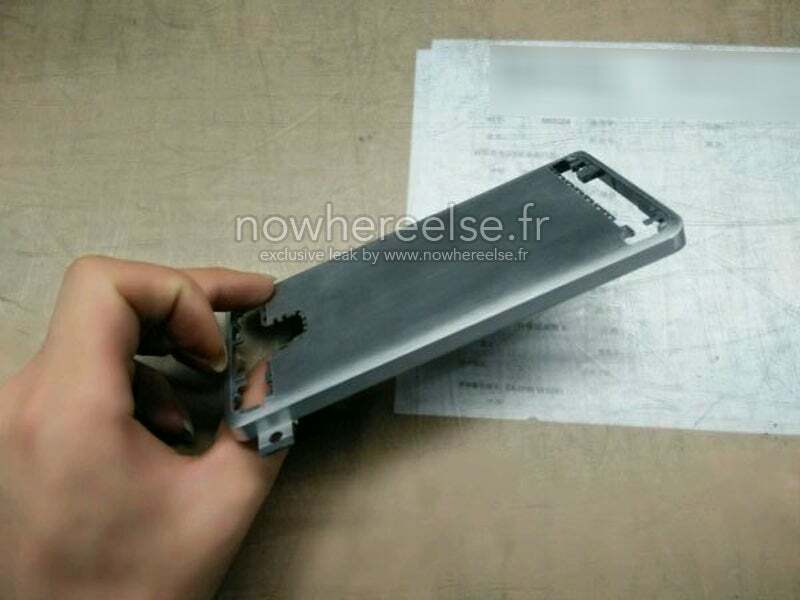 But maybe the biggest unexpected thing these leaks all seem to also suggest is that the S6 will have a unibody design. That mean's no removable back and no swappable battery, a huge feature of the Galaxy line that's only become more important as virtually every other phone maker has abandoned it. The Galaxy and Note lines are one of the last top-tier smartphones that still have removable backs, but this appreciated piece of convenience may become a sad causality to Samsung's desperate need for a change. And for all you folks who hate a big phone, it looks like the S6 will be sticking at the 5.1-inch form factor the S5 hit. No size-creep here. And then the invites to the S6 reveal event went out. 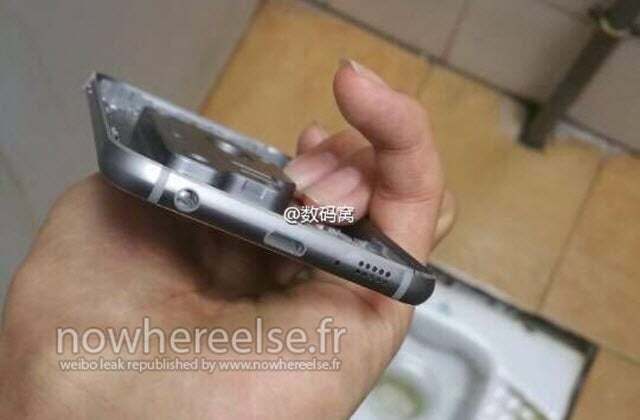 The image clearly shows a strange curve which sorta looks like it's supposed to be a side-view of the S6, which would be super weird if true. But there's a simpler solution. One Korean website, as pointed at by Phone Arena, suspects that with the right camera angle the invite transforms into just a simple confirmation of the Galaxy Edge (see image at top). The two smartphones on the right clearly show that the Galaxy S6 Edge, and it would even appear that the device on the far left is the unaltered Galaxy S6. The design certainly is different. But it's very similar to the ballistic nylon version of the Motorola's Droid Turbo as opposed to something more metal. 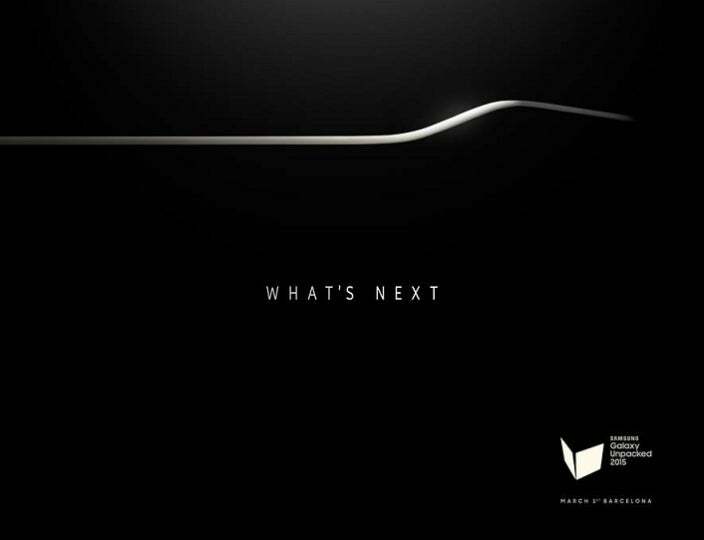 A Galaxy S6 Edge that is just a smaller version of the Note 4 Edge wouldn't be a totally huge surprise, but there are also rumours that Samsung might up the ante with an S6 Edge that's curved on both sides. It's possible — and that would be interesting of also a little aggressive and absurd — but so far the leaked press images seem to fly in the face of it. Although in the image above, the S6's far edge is sort of out of the line of sight. It doesn't look curved though. Anyone's guess! You'll note the absence of a Qualcomm chip. Instead of shipping with the Snapdragon 810 (Qualcomm's fanciest new phonebrain) in the US and Samsung's homemade Exynos processor in others. It seems Samsung is going all-out with its own octo-core chip. Bloomberg originally reported the hardware coup saying that Samsung decided not to go with Qualcomm because of overheating issues. After Qualcomm confirmed that they had lost a major partner the Wall Street Journal reported that Samsung also simply favoured its own smartphone chip over Qualcomm's. The motives aren't totally clear, but an Exynos-powered S6 in the States seems preeeeeetty likely. In-house chip manufacturing can have massive benefits. When you are making a chip specifically for one phone, you can optimise performance like crazy. Just look at the iPhone and its ARM-based A-series chips; the specs aren't objectively high, but the performance is so efficient that it doesn't matter. Samsung, most likely, is hunting for similar smooth sailing. Add to those already astounding statistics other rumours that the battery will hover around 3000mAh and you've got a phone that is nearly as brute-force amazing as Motorola's ridiculously well-equipped Droid Turbo — complete with a similar, battery-chomping hi-res screen, for better or worse. The only discrepancy concerning these numbers is the camera. SamMobile mentions that a 16MP sensor is likely, while other leaks raise alternatives. Last year's S5 had a 16-megapixel shooter and considering the all-around spec bump across the board, 20 megapixels seems more likely. 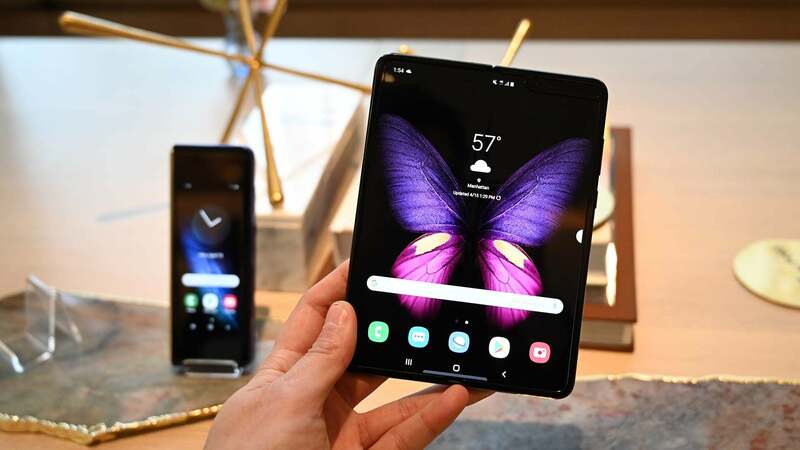 TouchWiz — Samsung's famously horrible proprietary software that sits on top of Android — has historically been these devices' biggest Achilles heel. "Bloatware", "ugly" and "garbage" all common (and apt!) words for beating up on Samsung's groan-worthy interface. 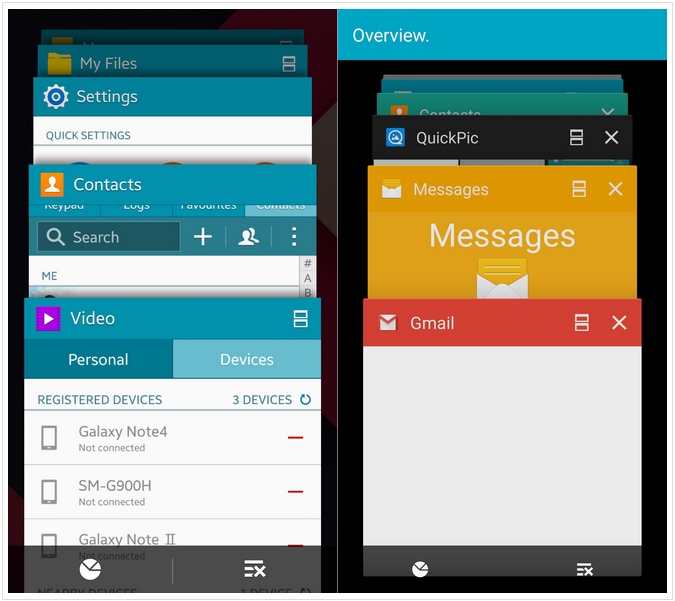 But like pretty much everything else on this phone, TouchWiz may be getting a much needed revamp. TouchWiz has already improved; it's OK on the Galaxy S5, and occasionally useful (if still mostly uninvited) on the Note 4. 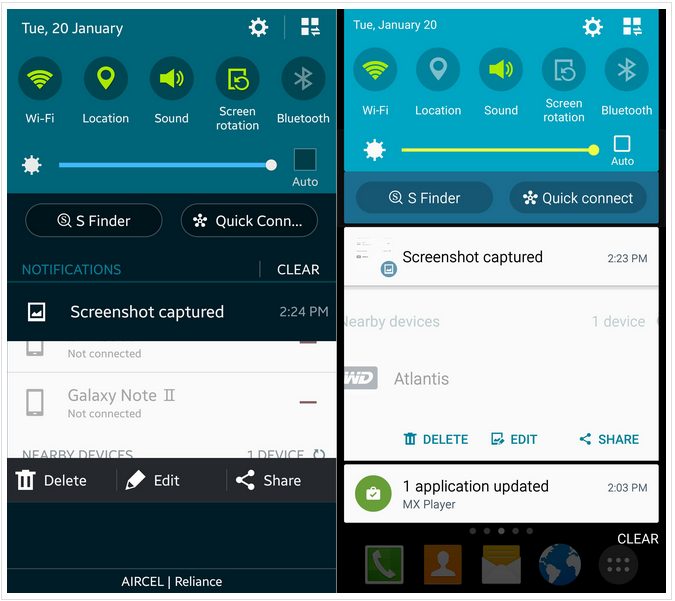 As the AnTuTu benchmark says, Samsung plans to ship the S6 with the very very recent Android Lollipop 5.0.2. Unusual considering that having to upgrade TouchWiz usually means Samsung is always a few steps behind the most current version of android. But the upgrade this time around is more than cosmetic. Samsung will reportedly make its skin way more like stock Android(! ), slim down the bulky excess features and widgets and switches and dials from the UI, and even completely remove arguably redundant apps like S Voice and S Translator. They could be optional! What an idea! If the company can somehow create a capable operating system that more closely resembles Motorola's (terrific) augmented approach to Android rather — which makes Android better instead of better-in-a-few-ways-but-then-mostly-worse — Samsung could have quite the phone on their hands. Most of the rumours surrounding price and carrier availability are using past behaviour as evidence. In 2014, the Galaxy S5 was announced in late February, and it took nearly two months to make it out into the world. Since the S6 is going to be announced at Mobile World Congress March 1st, a similar release schedule wouldn't be out of the ordinary. Late April? Early May? The S5 also arrived at $US200 and Samsung would be insane to go any higher considering the base model iPhone 6 hovers around that price and just sold an absolute boatload. As for the S6 Edge, it will most likely be a extra Benjamin, which is right in step with the price hike on the Galaxy Note Edge back in the fall. Carriers? All of them. And with a promising new design, killer specs and long-awaited software improvements, the S6 is looking super promising. It's been a long time since the S III set the Android world on fire, and the S6 looks like Samsung's all-in effort to do it again.